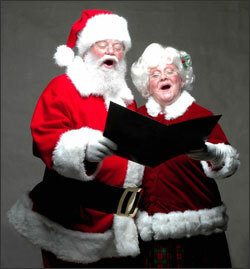 Santa and Mrs. Santa Claus are professional vocalists and experienced actors. The following audio presentations are enchanting samples of Santa & Mrs. Claus singing and delightfully interacting with one another. Your guests will be captivated by the spirit of Christmas with the real Michigan Santa Claus and his wife at your next event!